So What Do I Do For MMPK Makgeolli Week? For Muldwinda, all you need to do is decide which day you want to go between November 7 – 17th….and go! Except Sundays, which are closed days. 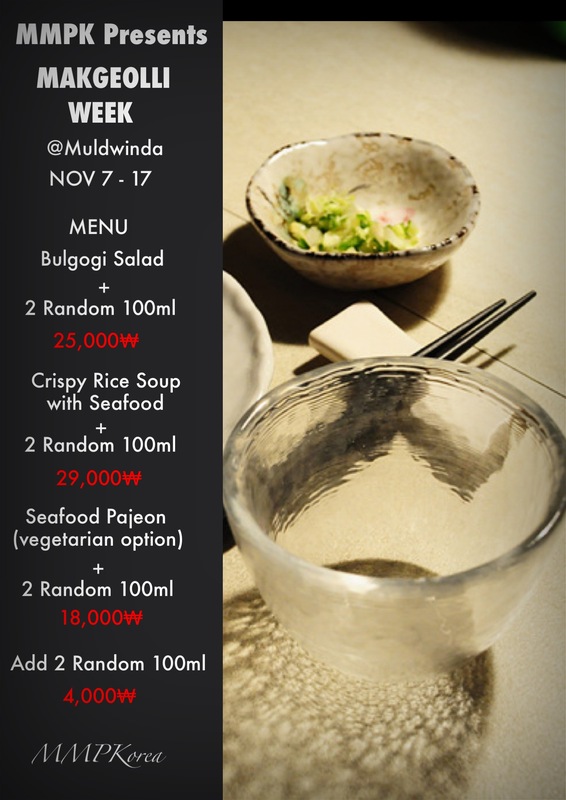 Once at Muldwinda, you can order off the MMPK Makgeolli Week Menu, or additionally from the regular menu. Any time during MMPK Makgeolli Week you will be able to order from the above menu. Come out of Chungjeongno station exit 7. 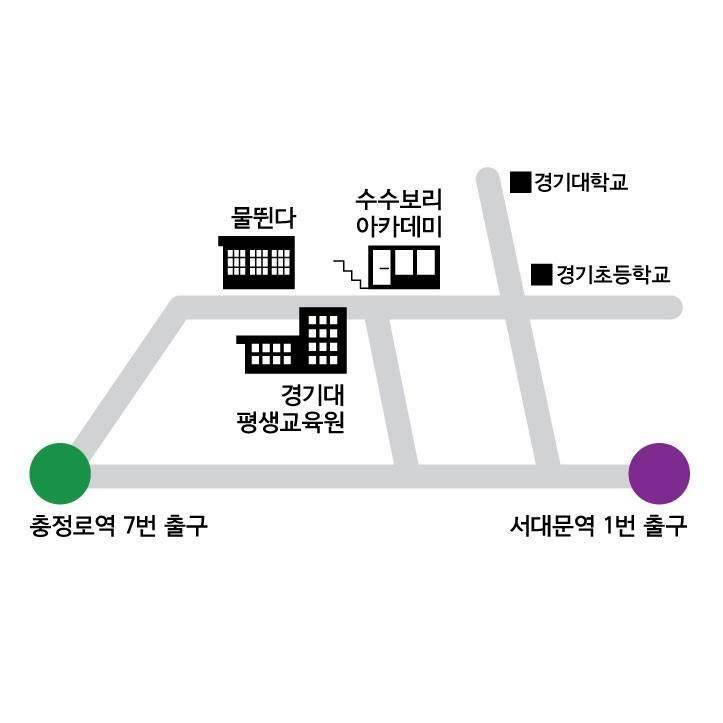 You will see a Beans Bins coffee shop on the corner, turn right and follow the road until just before you reach a convenience store on your right. You will see a white building with windows across the road, this is Muldwinda. Below is a simple map. If you check out Muldwinda, we want to know about it! Take a picture of your makgeolli, food or friends and post them on our Facebook wall with a comment of your experiences. Don’t forget to fill out the feedback card while your their with your details, as there will be a lucky prize winner at the end of MMPK Makgeolli Week. We will be visiting each bar frequently, so hope to see you all there. If you have any questions or feedback, feel free to email us at mmpkorea@gmail.com!